With the amount of unit calendars, lesson plans, class preparations residing on a typical teacher computer, it is essential to plan for an eventual emergency if anything were to happen to your machine. In this article, we investigate 3 bulletproof ways to backup your Mac. What size is my backup? Where will I backup to? What Should You Backup On Your Mac? Although we will only look at a typical scenario on a teacher Mac, there are similar locations on Windows and Linux machines. In Mac OS X, all your files are basically saved in your Home Directory. You can identify the Home Directory in your Finder as the location represented by the icon of a house (if you cannot see the Home Directory, click on Finder > Preferences > Sidebar and make sure the home directory is checked under Favorites). Internet bookmarks: the best solution is to sign in to your browser so that your bookmarks are automatically saved online. Passwords: saving passwords in your browser is easy and there tempting, but it is not safe. Instead, our recommended backup solution for your passwords is a password manager like LastPass. How Big Will My Backup Be? Once you identify the data to backup, you can estimate how much you will have to backup. Finder > View > Show View Options. Taking a byte out of the digital acronyms, and after a little simplification*, what you need to know is that the most common smallest denominator is the Byte (B). 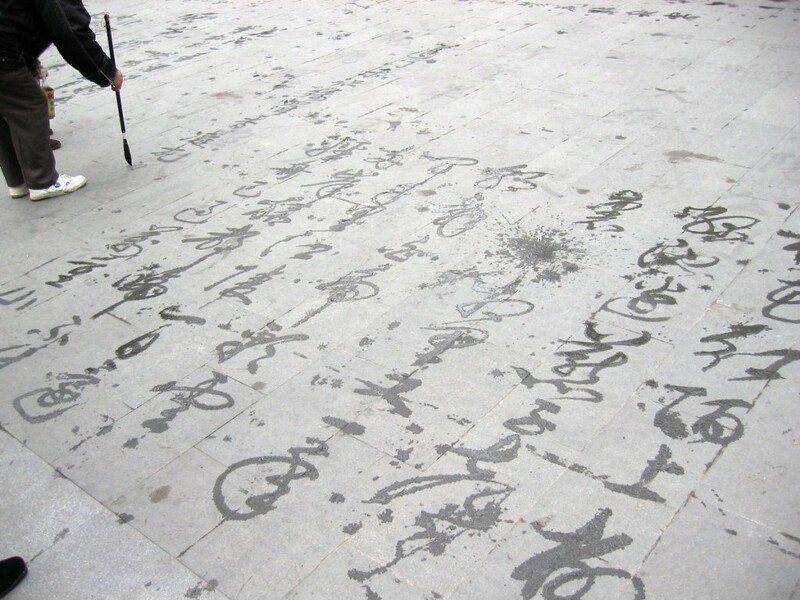 The KiloByte (KB) is 1,000 times bigger than the byte. The MegaByte (MB) is 1,000 times bigger than the KB. The GigaByte (GB) is 1,000 times bigger than the MB. The TeraByte (TB) is 1,000 times bigger than the GB. 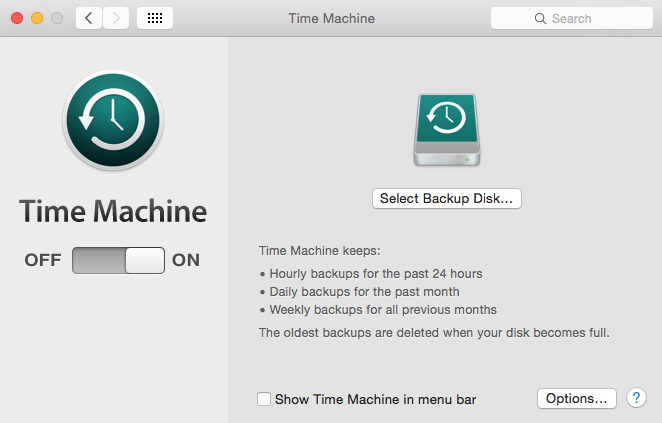 On any Apple computer, Time Machine is really the ultimate backup solution. It is simple and yet very effective. All you need is an external hard drive with at least as much available space as 2 or 3 times the amount of data you have. A typical US$75 1TB external hard drive will amply suffice (our suggestion is to get a 2.5″ format to avoid dealing with an extra power supply). Plug your external hard drive and if Time Machine hasn’t asked you yet, go turn it on from your System Preferences. Once the first Time Machine backup instance complete, you can literally bring your computer back to that exact time and find the files or folders you need. Each subsequent backups will provide for different versions. We like the fact that you can bring your computer back to the exact state you need with this solution. 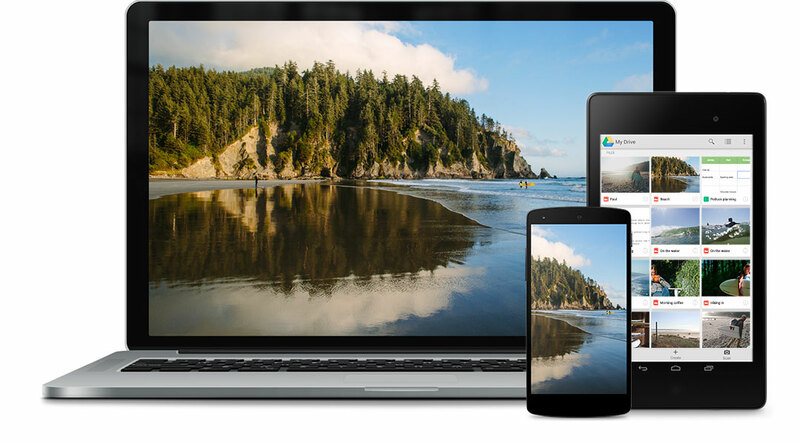 Although Google Drive is not exactly a backup per-se, the ability to upload any file to Google Drive and the fact that G Suite For Education offers unlimited storage means that you have a free cloud backup solution at your disposal. To make things simpler for yourself, you should install the Google Drive App on your computer. This will create a folder which syncs directly with Google Drive online (but be careful not to sync all the very large folders that may be shared with you). I was a CrashPlan but their home service shutdown. I have since switched over to Backblaze. 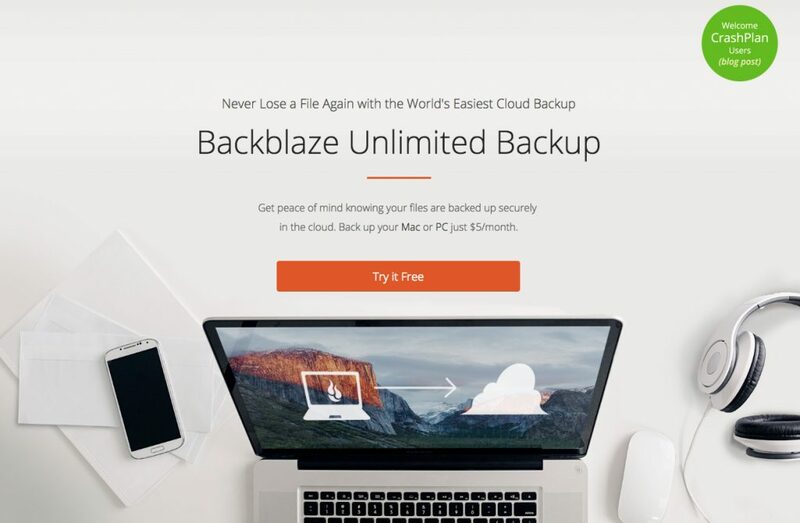 Backblaze Unlimited Backup for Home is a dedicated online backup solution which will set you back US$50 per year. This is definitely worthwhile if you compare it to the price of an external hard drive which is still losable and fallible. Once you setup the folders to backup, Backblaze will automatically transfer your files in the background. The backups are incremental, encrypted, and include multiple versions of your files. This solution, just like Google Drive, is not recommended when you have low Internet bandwidth. If you have any issue, you can even order a USB drive of all your data by mail. What backup solution are you using at the moment? Let us know in the comment section below.